The congressional seat in the 18th District of Pennsylvania has been vacant since Republican incumbent Tim Murphy was outed for ordering his mistress to have an abortion. The special election to replace him is coming up on March 13, and it could be a doozy like the Alabama senate race was a doozy. Why? Because a Democratic insurgency might actually win. The district is largely rural and economically distressed and was gerrymandered for a Republican. It's so Republican that in 2016 the Democrats didn't even field a candidate. They didn't field a candidate in 2014 either. In 2012 a Democrat got 36% of the vote against secret abortion-admirer Murphy. Ooo, juicy! It's almost like a mirror image of the Alabama Doug Jones-Roy Moore contest. 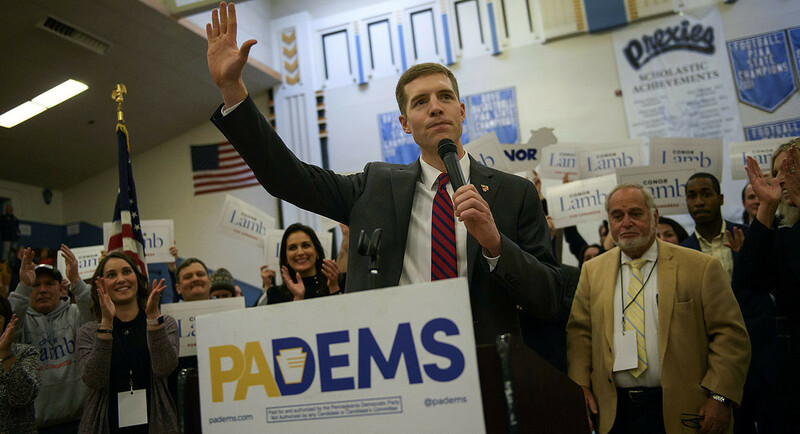 According to the indispensable David Weigel, this special election will be "a test that neither party expected: a fight in the sort of rural, conservative district that national Democrats gave up on years ago. Local Democrats, who in 2016 watched their party hunt for votes in more liberal suburbs, want in on the 'resistance' ahead of 2018." 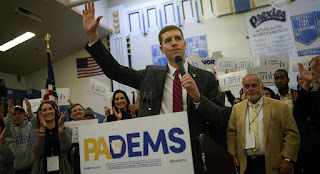 Weigel is also reporting that big Republican PAC money is beginning to pour in for Saccone, but Democrats will be mounting an energetic ground game, where they can win even against big bucks buying TV ads.